2 years ago I started my very first blog. I had no idea what I was doing! I was blogging about politics at the time – seriously I don’t know what I was thinking! Anyway, time went on and it felt blah. I had a good rethink and started a brand new website with a blog dedicated to books. Books have been my saving grace through hardships, both at home and outside. I wanted to help others express themselves through stories and continue their healing while helping others. I also wrote some books and that felt GOOD! 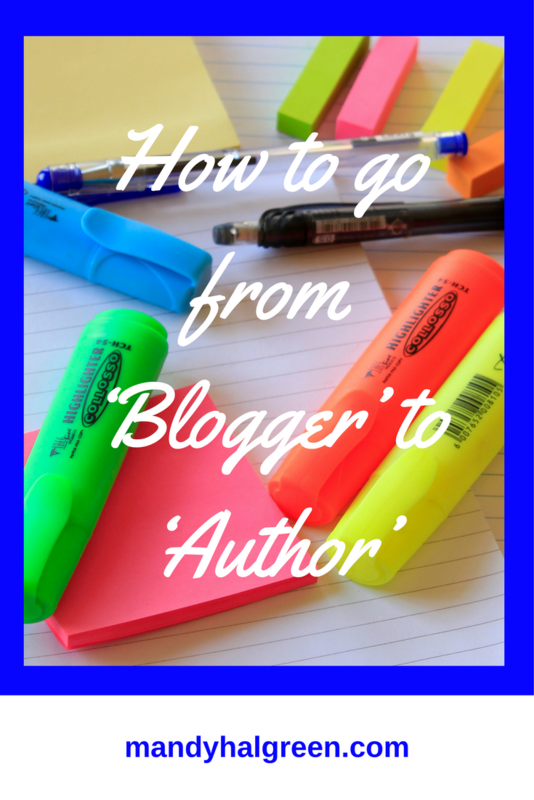 So, how did I make the leap from ‘Blogger’ to ‘Author’? Watch the following video OR read on to discover the 5 steps you need! Step 1 - You are enough right now! I don’t know about you but I struggle with self-doubt. I struggle with giving myself credit where it is due. It took me a long time to write my first book. At every step I criticised myself. Have you done that? Are still doing that? Whether you have been blogging for 3 months, 9 months or several years. You HAVE something to say and you are ENOUGH right now! Step 2 - The Idea! Your Idea is rather important – without it, there is no book. It doesn’t matter what niche you are in, you can write a book! I could go into SO much detail here but instead, I will just give you this questionnaire! But, one of the easiest ways to create a book, especially an opt-in, is to look at your FAQ’s. That’s what people want to know more about and you can go into more depth with a book here. The questionnaire will give you more options and help you take your audience into account. 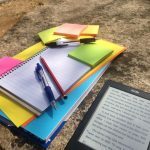 Step 3 - Writing your (e)-book! Writing your book is fun. It’s you! It’s your story! It’s what you are passionate about. Have fun with it and remember to put a bit of your personality into it. Your audience knows you so make sure they feel that “youness” in your book. P.S. You don’t actually have to ‘write’ your book! You can use Google Docs and use their voice typing feature. [I use it!] Or another voice typing program – some are free. Just remember to check your work through as they do make mistakes! Step 4 - Editing and Formatting! More fun stuff – especially if you are creative! I edit the books for punctuation and grammar. I use these two tools: Grammarly and Hemingway Editor. They are both free and worth it for an opt-in! I always format the book BEFORE I put it into the (e)-book. I go and make headings, format quotes, add images [if needed] and make the book ‘look’ the way I want it to. Step 5 - Presenting the (e)-book! It is fun to ‘put the book together’. I like to keep my branding so I create mine in Canva [it’s free]. I am a great believer in saving time and money while keeping quality and value! I copy and paste my book into Canva – keeping to the formatting I did in Step 4. 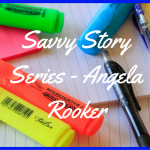 I think Canva is one of the best tools a blogger and author can have. Read through your book again before you download it and again afterwards. Create your landing/opt-in page. Create your funnel to the paid product/service you want the book and funnel to point your customers to. Create your launch content – I suggest doing this while you write your book so you can use those feelings! Oh my gosh! YOU DID IT!!! You have created your first (e)-book! What is your biggest takeaway today?